There's no reason to believe that a healthy small church is making more mistakes than a healthy big church. Small Churches are the norm. Megachurches are the exception. Neither is better. Both are needed. Increasing numbers can cause us to make two equal, but opposite mistakes about church growth and health. 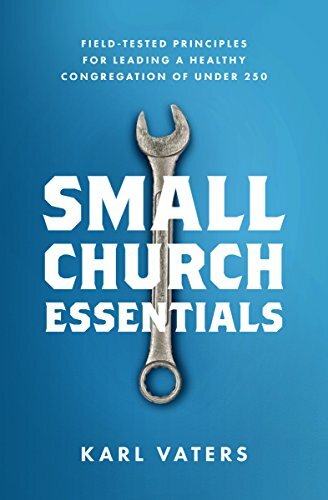 The smaller the church, the more likely the pastor is doing most ministry alone. But there is hope. Outrage blogs may be popular, but they're seldom helpful, true or redemptive. And they're never as unique as they claim. Did 2016 Expose America's (And the Church's) Fame Addiction? The church should be providing a counter-cultural balance to our fame obsession. Instead, we're feeding into it. More pastors get in trouble through pride and arrogance than maybe all other character deficits combined. Wear what helps you think more about Jesus and less about yourself – and what will help others do the same.